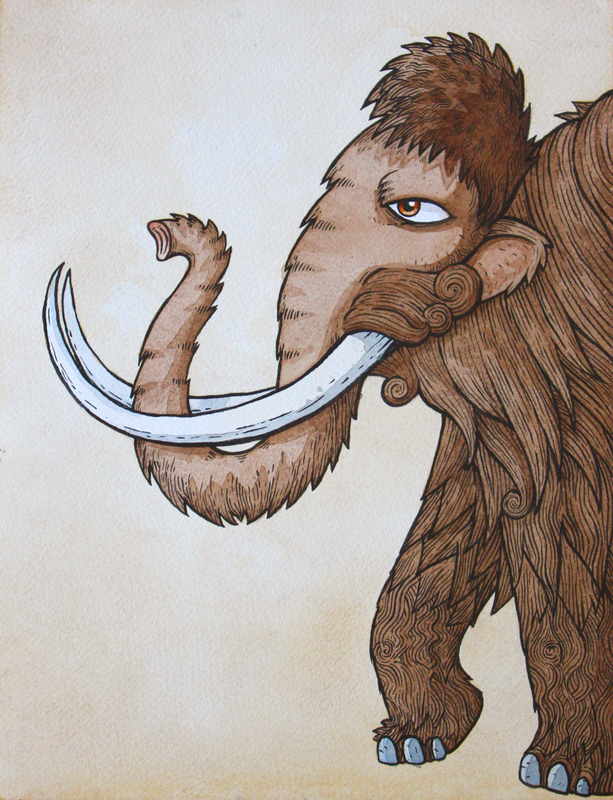 Here I explore with ink and watercolour to create some prehistoric characters. 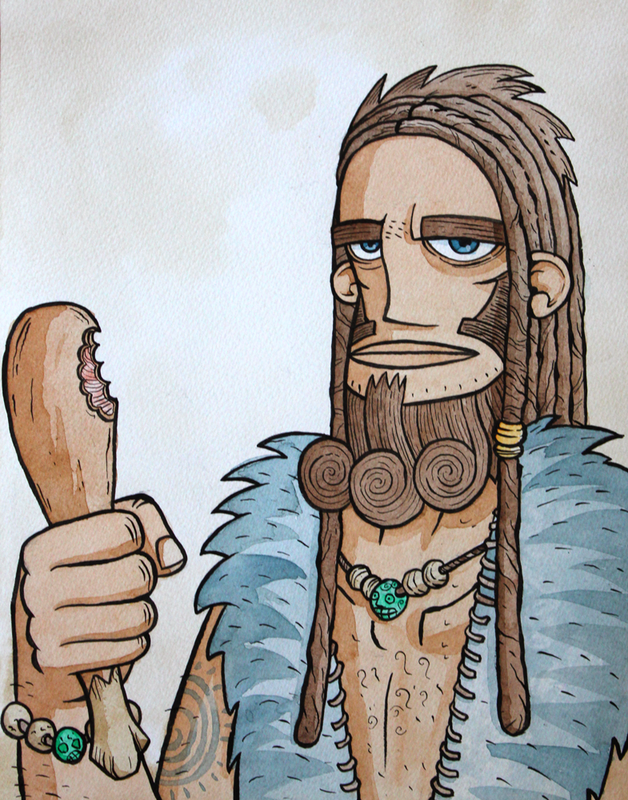 I am not sure what the caveman is eating. It could be chicken. It could be a baby Giant Rok. It could be either given the cave man is wearing an open fronted animal skin, inferring that perhaps he lived in a warmer climate where there may have been…chickens! 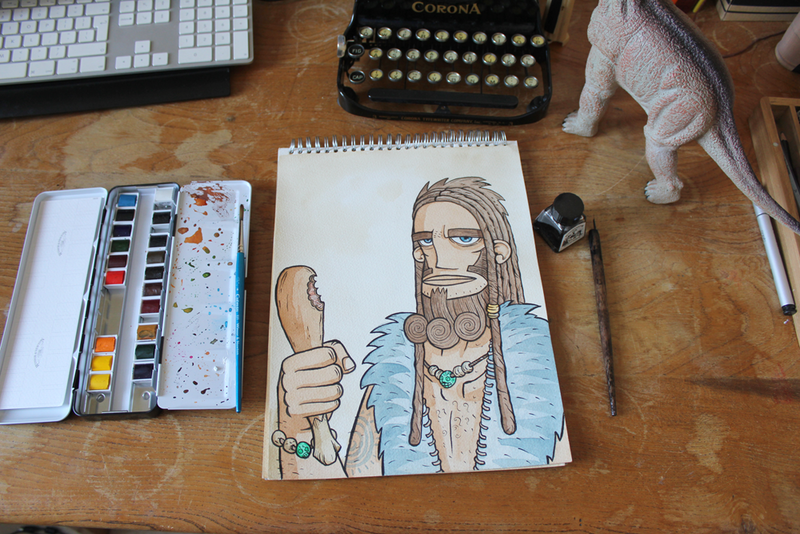 The Mammoth isn’t eating, he is just walking, as is his like.